Hey guys! How’s it going? I was supposedly doing my window shopping but I was excited when I find the new reformulated and improved formula The 24K Nudes Eyeshadow Palette by Maybelline. Let me introduced you to their new Spring 2017 palette which was launched a couple of months ago. You might’ve seen or heard of it on the internet but this palette is fairly new to me. I was instantly sucked into buying this palette seeing how these colors look gorgeous together. I’ve very high hopes for this considering it’s pretty easy to find nicely pigmented shadows at the drugstore price point these days. So was it worth the hype? Let’s take a look! I love the gold packaging and it retails for $14.99. A palette designed with beautiful matte and shimmery shades showing gold, bronze and copper tints. I really like that in the back include suggestions of how we can combine the tones, that can make it easier for those who do not know much about makeup. This you can find in all of their Nudes palette collection. And here’s the dual ended sponge applicator looks like. The sponge that comes with the palette is ideal for smoking out your eyeshadow. I usually don’t be bother to use the applicator provided. I prefer to use my own brush. I really like the colors and how they all look inside of the palette. You get some mattes, shimmers and satin finishing from this palette. One thing I can tell you for sure is that they do feel more buttery then their other previous eyeshadow palettes. These shadows are notably easy to blend and easy to blend is key. I’ve a color swatch to show you – look how nicely pigmented and silky soft these shadows are; and they don’t have a problem with wear time at all. The colors go on smoothly and aren’t patchy, I rarely got much fallout but just a little with the darker shades, and they blend easily without fading too quickly. I’m wearing it again today! Look how pretty these shadows are on my bare arm. You can see me did a swatch directly to my hand. No base or primer and they’re not wet. Can you see how buttery and silky smooth these shadows are? No powdery and dry feel on this palette except shade 5. By the way, the furthest shade to the right is the only Gold out of the twelve shades. Texture is very smooth and soft. It’s the most beautiful gold ever! Bottom row from left to right. The cause of the fallout in my opinion in shade 5 (top row) is that it’s on the flaky side and shades 9 and 12 have micro glitter particles that separate from the rest of the formula. I find almost all of the shades have a buttery texture so that part of the claim was true. It’s definitely better than the previous Maybelline Nudes Palettes but is comparable to high end, not really. The Maybelline 24K Nudes is the perfect palette for those of you who like an ‘eyeshadow quick fix’ where you dip your finger in an eyeshadow and swipe it all over your lid, just for that little something extra. Overall, I’m feeling so-so about the new Maybelline 24k Nudes palette. While the formula is improved it’s not as great as I was hoping it would be so that was a bit of a letdown. But anyways, I’m going to keep working with this palette and see what I think after I’ve used it more. I do think the palette is reasonably priced, although there are better performing options at this price point if you’re willing to sacrifice amount of product and color variety. If you’re looking for a lower price point all together that still offers color variety, the Wet n Wild Au Naturel Palettes come to mind. Thank you so much for stopping by to read. If you did enjoy this post definitely follow my blog. I hope you come to check on my social media down below. In the meantime come and say hi! Until next time blog, bye! Previous postThank you Maybelline for always making my heart skipped a bit! The gold shade is my favorite one too. It’s so pigmented and soft. I was so excited to find the new Maybelline The 24k Nudes Palette ($9.99) at Bed, Bath, & Beyond recently, which might sound a little strange considering I wasn’t a fan of the previous versions that Maybelline released. However, I’ve been hearing on Maybelline’s social media that all of their “nudes” eyeshadow palettes are going to be reformulated, including this one. The formula in this palette is definitely made more buttery and soft compared to their very 1st Nudes eyeshadow palette. It’s not the best palette but for that price, that’s still a good deal. I quite like the shades, they offer so many possibilities. As I use Lancôme products only, I’m thinking of getting this for my teenagers. Drugstore eyeshadow palettes nowadays offers a wide range of alternatives to a more higher end products. Yes, they are my dear! Thanks for commenting. 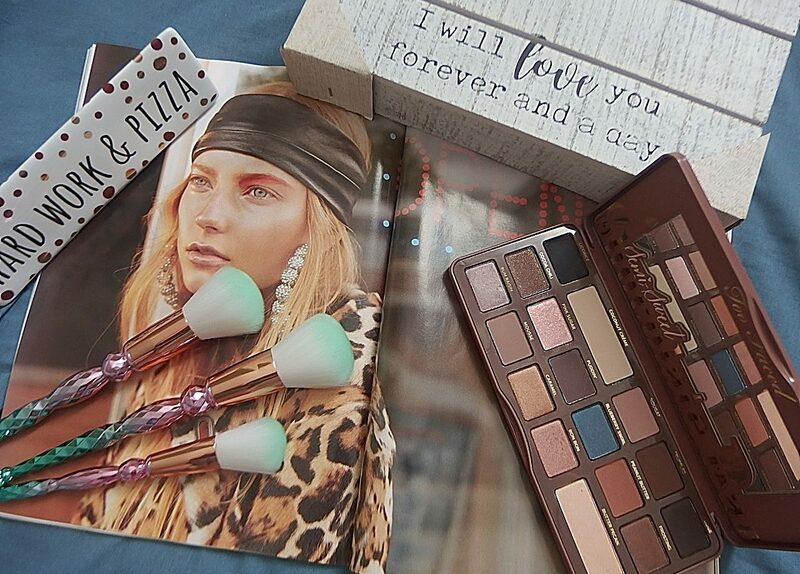 What a great palette – full of such great shades. Plenty of neutrals for every occasion with a few accent colours in there too! Love having so much choice in one make up item! I’ve been hearing on Maybelline’s social media that all of their “nudes” eyeshadow palettes are going to be reformulated, including this one. Thanks Sharon for sharing your personal view and review of he Maybelline 24k Nudes Palette swatches. I have a Max Factor palette tah I have had for yonks. Maybe I will consider his one, although you say its not as good as you had hoped.